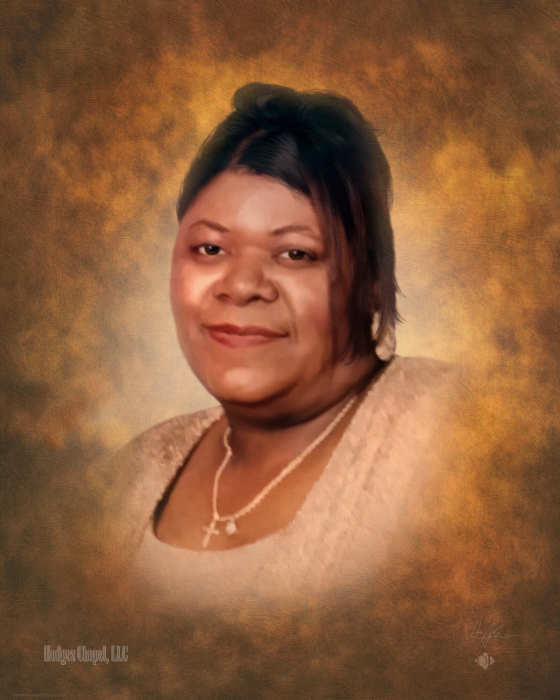 Her remains will lie in state Fri. Dec. 7, 2018 from 3-6pm at Hodge's Chapel, 701 Dr. M.L. King Jr. Ave. Mobile, AL 36603. Visitation will be Sat. Dec. 8, 2018 from 9 a.m. until the 11 a.m. funeral hour at Greater Mt. Olive Missionary Baptist Church #2, 251 N. Lafayette St. Mobile, AL 36603 Rev. Hubert Baker Pastor. Interment will follow in Whispering Pines Cemetery, Eight Mile, AL.